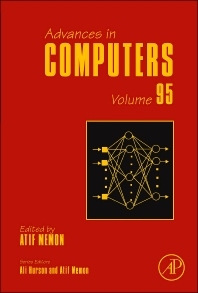 Since its first volume in 1960, Advances in Computers has presented detailed coverage of innovations in computer hardware, software, theory, design, and applications. It has also provided contributors with a medium in which they can explore their subjects in greater depth and breadth than journal articles usually allow. As a result, many articles have become standard references that continue to be of significant, lasting value in this rapidly expanding field. 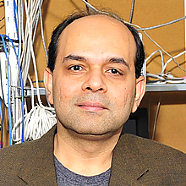 Atif M. Memon is an Associate Professor at the Department of Computer Science, University of Maryland, where he founded and heads the Event Driven Software Lab (EDSL). Researchers at the EDSL study issues of design, development, quality assurance, and maintenance of such software applications. He designed and developed the model-based GUI testing software GUITAR, which operates on Android, iPhone, Java Swing, .NET, Java SWT, UNO, MS Windows, and web systems, and leverages a resource cloud for test automation. He has published over 90 research articles on the topic of event driven systems, software testing, and software engineering. He is the founder of the International Workshop on TESTing Techniques & Experimentation Benchmarks for Event-Driven Software (TESTBEDS). He also helped develop the workshop on Experimental Evaluation of Software and Systems in Computer Science (EVALUATE). He is the Serial Editor of Advances in Computers, published by Elsevier. This series, since its first volume in 1960 and now the oldest series still being published, covers new developments in computer technology. He is an elected member of the Steering Committee of the International Conference on Software Testing, Verification and Validation ICST, the largest conference on software testing. He serves on various editorial boards, including that of the Journal of Software Testing, Verification, and Reliability. He has served on numerous National Science Foundation panels and program committees, including ICSE, FSE, ICST, WWW, ASE, ICSM, and WCRE. He is currently serving on a National Academy of Sciences panel as an expert in the area of Computer Science and Information Technology, for the Pakistan-U.S. Science and Technology Cooperative Program, sponsored by United States Agency for International Development (USAID). He has a joint appointment in the University's Institute for Advanced Computer Studies (UMIACS). He received his Ph.D. from the University of Pittsburgh in Computer Science in 2001, and started at the University of Maryland soon thereafter. In 2007 he was a visiting scholar at the Institute of Software at the Chinese Academy of Sciences, and a visiting researcher at Tata Research Development and Design Centre.